Greetings. It has been some time since we’ve sent out a newsletter, we hope this finds you all well! Topics in this newsletter include the transition to Fall, CranioSacral and Core Synchronism therapy, and updated reception hours at Vital Source. Fall seems to have arrived in the Pacific Northwest. Fall is a particularly significant season when it comes to health and healing; a worthy topic for a brief discussion. Summer is an energetic, fun, and busy season for most of us. Many people, particularly in the Northwest, notice that they feel better in the summer. Who wouldn’t when it’s beautiful and sunny almost every day, and light until 10 pm! When fall arrives, it’s often the tendency to turn more inward and pay closer attention to aspects of our lives that have been set aside over the summer months. At Vital Source, we frequently see patients come in this time of year with the desire to transition to fall with a detoxification program, to address certain health issues they’ve put on the back burner for the summer, or to return to regular self-care habits and routine. – Consider a 1 month dietary challenge to help promote healthy eating habits. We often recommend “The Whole 30”, which is a program that can be found online. – Explore and identify the possibility that food sensitivities may be impacting your health. We recommend either food sensitivity testing through our clinic or the “28 Day Elimination and Detoxification Diet” in The Whole Life Nutrition Cookbook, written by local nutrition experts in Bellingham. – Re-visit your basic treatment and dietary guidelines. Re-incorporate any aspects that may have been lost along the way. Remember that packet you were handed at your first visit to Vital Source? It’s full of great ideas on daily self-care routine, home remedies to assist in daily detoxification, and guidelines for healthy eating. If you have lost your packet, you can download these handouts from the resources page of our website under “commonly used patient handouts”. – Incorporate a new exercise routine if you don’t already have one. Fall is a great time to join a gym, yoga studio, or establish a regular outdoor exercise schedule either by yourself or with a friend (such as walking, running, biking, hiking, etc). – Treat yourself to some bodywork such as massage, acupuncture, rolfing, or CranioSacral therapy. – If it’s been a while since you’ve been in for a visit and you’re not feeling your greatest, come on in. We can be sure to address your concerns and help you get back on track. 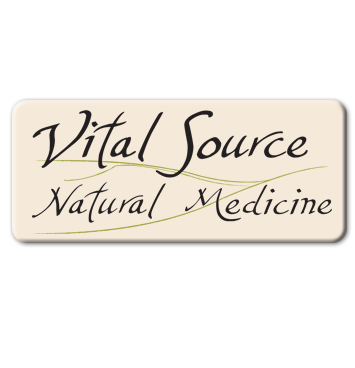 Many Vital Source patients are not aware that in addition to naturopathic medicine, Dr. Van Dusen also practices Core Synchronism and CranioSacral therapy. These therapies fall under the umbrella term “cranial work”. They are wonderful as stand-alone treatments for some patients, and can enhance naturopathic therapies when used in conjunction. Dr. Van Dusen finds it very important in the practice of medicine to address the physical body and structure directly. While both naturopathic and cranial work therapies address the energetic body, most naturopathic therapies emphasize restoring proper physiology and function, and place less emphasis on physical structure and alignment. Cranial work addresses this structural element (i.e. bones, joints, muscles, etc), and at the same time, encourages proper energy flow and distribution in the body. This is helpful to some degree for just about any health concern, but Dr. Van Dusen finds it particularly helpful for patients that experience pain, nervous system or stress related complaints such as insomnia, tension, or anxiety. It is also helpful for conditions that may be exacerbated by restrictions in the body structure such as lymph congestion, headaches, sinus issues, and digestive issues. Dr. Van Dusen is very thankful to have such a gentle yet powerful therapy available to share with her patients. She finds that it greatly enhances the therapeutic relationship with her naturopathic patients, and allows for a deepening of the healing process. She also enjoys utilizing cranial work as a stand alone therapy for patients that are specifically seeking this type of treatment. If you have any questions regarding cranial work, or wonder if it’s appropriate for you or someone you know, feel free to ask! Well, they’re not really new, but it’s been a while since we’ve sent out a newsletter! If you haven’t met her yet, Jennifer the receptionist is in the office from 1-5 Monday through Thursday. This is the best time to call our office, or to stop by if you need to pick up medicine. She’s happy to help!